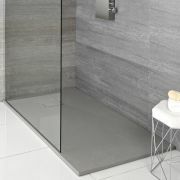 Create an eye-catching feature in your modern bathroom or en-suite with this stunning Hudson Reed rectangular 430x200mm water blade fixed shower head. 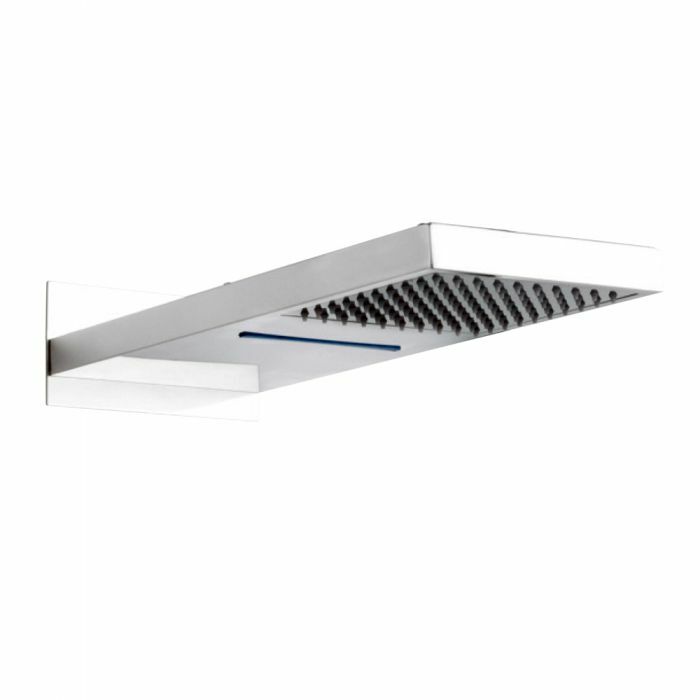 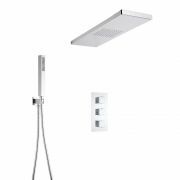 Suitable for use with twin valves with diverter or triple valves, this fixed head delivers an amazing showering experience. 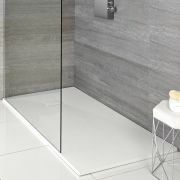 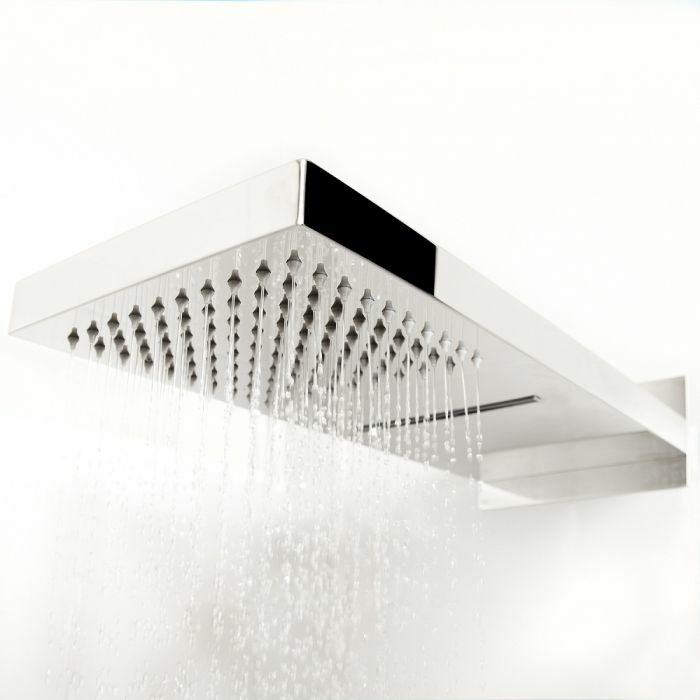 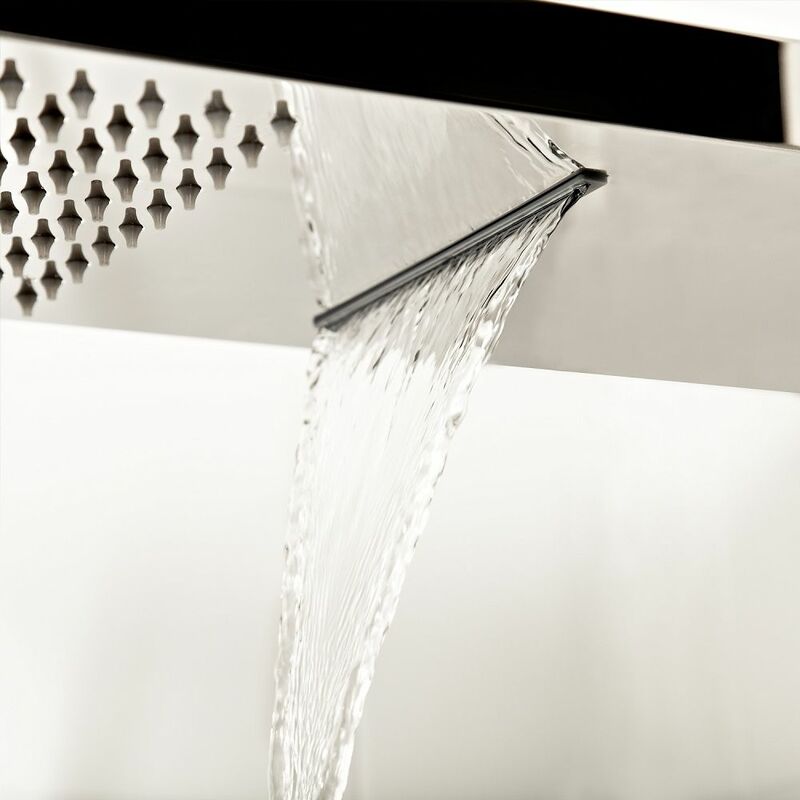 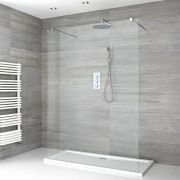 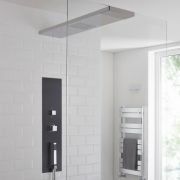 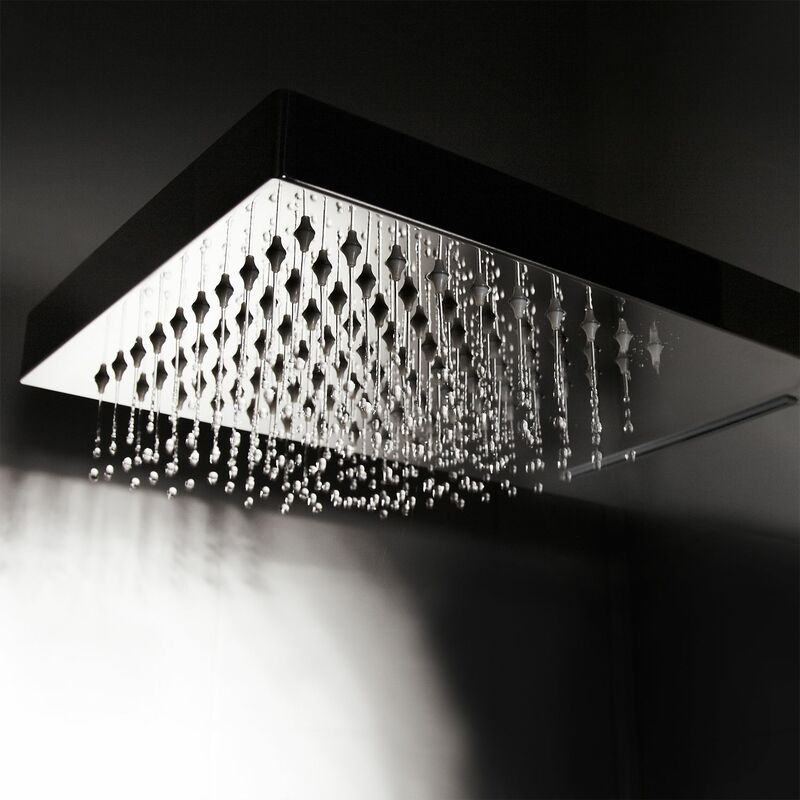 The Hudson Reed Ultra Thin Fixed Shower Head has two functions 'Rain effect or waterfall effect' combined in the one head making it quite unique. 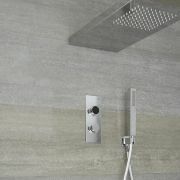 The shower head is secured to the wall from behind with nuts and directly connected to the water connections. 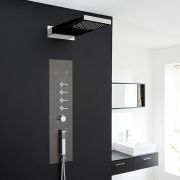 The shower head has been designed so that the weight is carried by the shower head being secured this way. 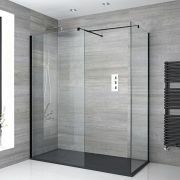 Many customers prefer to fit this high on a false wall with plasterboard to facilitate access. 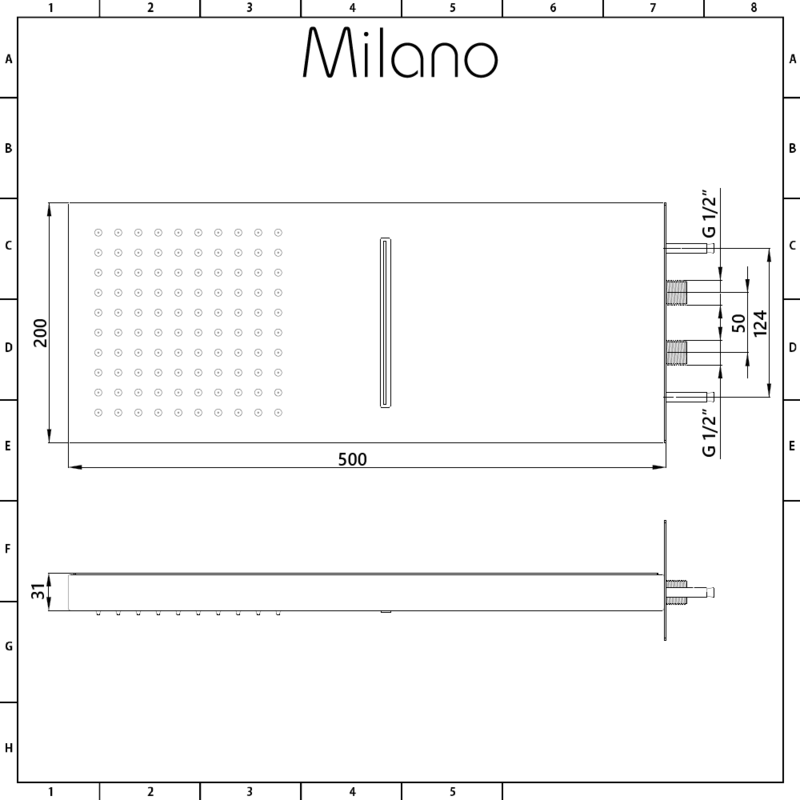 A recommended minimum operating pressure of 0.5 bar is required for best performance.